When it comes to making a used car purchase in the Raleigh area, we at Hanna Imports understand that you have a variety of choices. That’s why we’ve worked extra hard to ensure that we have the selection you want from all the most popular brands. Raleigh Drivers, Make your Spring Service Appointments Today! Spring is here, and with that comes the excitement of warmer weather, weekend road trips, and summer vacations. 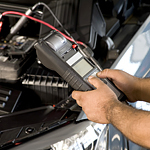 Make sure your vehicle is ready and able to keep up with all of your adventures by having it serviced at Hanna Motors. Canvas bed covers and roll-up covers are the main accessory options for trucks. Each of these designs have different advantages and disadvantages. 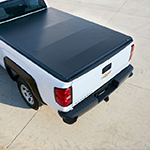 If you put a canvas bed cover on your truck, the process of removing it won't be a hassle. The process of getting rid of the cover is simple because the frame has a practical design that attaches and detaches effortlessly. The only disadvantage is that this type of cover isn't designed with a lock. While the jumble of letters and numbers on the side of your tires might look random, it actually has a lot of information to tell, from safety rating to ideal inflation levels. Understanding this code can help you to become a more informed car owner. Brake fluid can also be known as hydraulic fluid and is a vital substance to helping your braking system function properly. If your vehicle doesn't have brake fluid, you wouldn't be able to stop the vehicle when your foot engages the brake pedal. At Hanna Imports in Raleigh, we want your vehicle in optimal condition, which is why we invite you to read further to learn more about brake fluid. Hanna Imports wants the trip that you take with your family to be a truly enjoyable one. We are here to offer you game ideas to keep everyone in your vehicle entertained on the road. Do you know what kind of alignment to ask for your car? This depends on the type of drive train that you have. 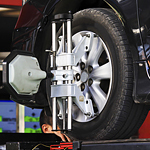 Most cars have a front wheel drive configuration, which means you only need a FWD alignment. However, if you have a rear wheel drive or all-wheel drive, then your alignment will look a bit different. All alignments do the same thing, however. It simply means to set your axles and wheels in the same direction. The process typically involves a clamp that goes on your axles and uses a computer to make precise measurements. A brake pad is a piece of equipment in the braking system that needs to be periodically replaced. 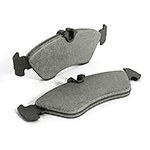 Even the best and most durable brake pads on the market will have to be replaced due to wear and tear over time. The pad plays a vital role in the braking system. It serves as a friction reducer between the brake rotor and the caliper pistons. When you activate the brake pedal, you enable the caliper pistons to grab the rotor to stop it from spinning. This is what causes your car to brake and come to a halt.